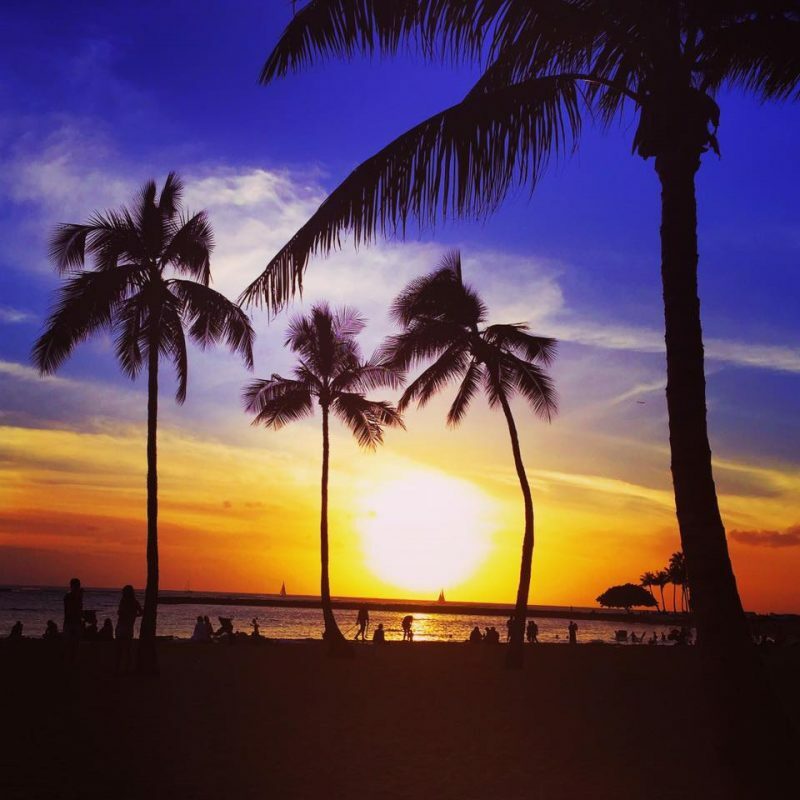 Oahu hosts more visitors annually than all of the other Hawaiian Islands. It’s home to more than 60 hotels and hundreds of vacation rentals, yet our first choice in accommodations is always Hilton Hawaiian Village. 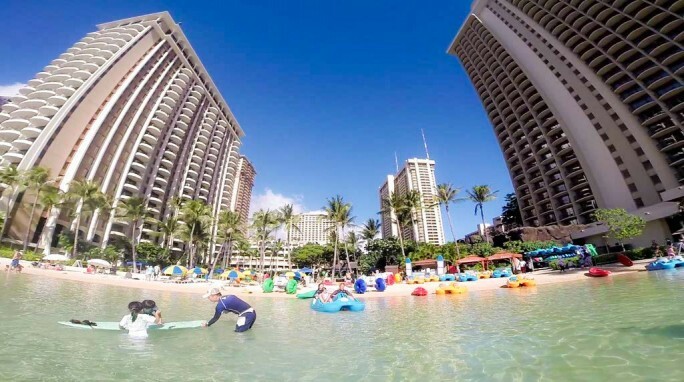 The Hilton Hawaiian Village Waikiki Beach Resort is situated on 22 oceanfront acres of Waikiki’s widest stretch of beach. There are 5 pools including Waikiki’s largest Super Pool, and longest water slide, 20 restaurants and bars, and daily activities and excursions ranging from morning exercise classes to catamaran sailing. Hilton Hawaiian Village offers the perfect mix of exceptional resort accommodations and classic Hawaiian hospitality. 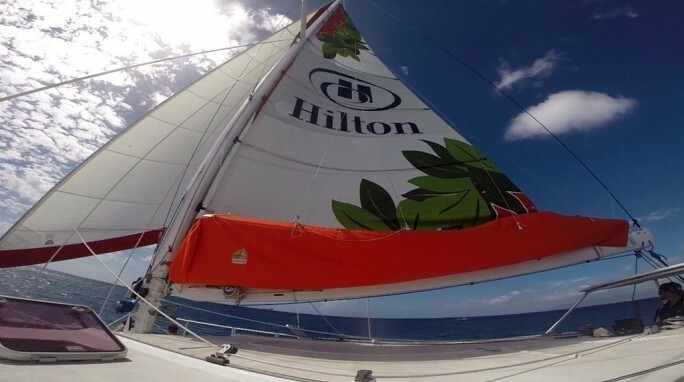 Whether traveling with children, alone, or on a romantic getaway, Hilton Hawaiian Village is the ideal choice. 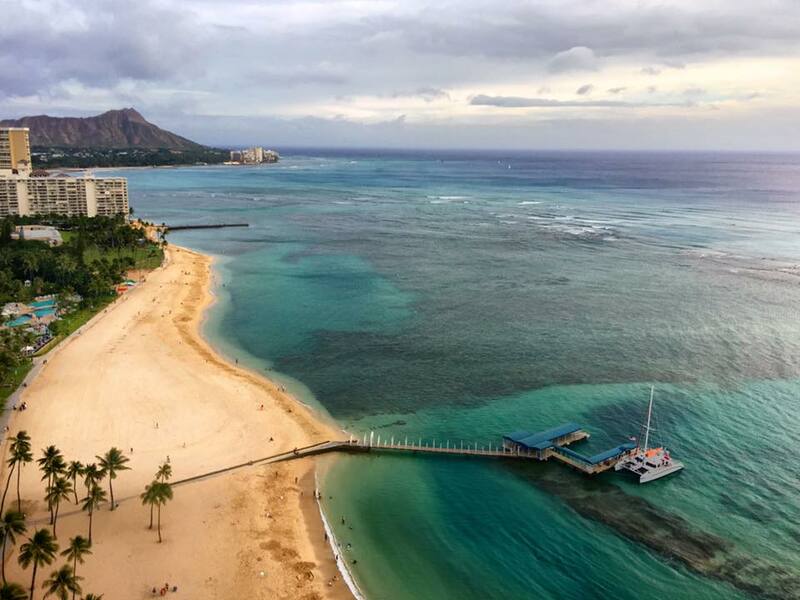 Towering over Waikiki Beach with breathtaking panoramic views of Diamond Head, Waikiki Beach, and the Pacific Horizon, Rainbow Tower is our favorite place to stay at Hilton Hawaiian Village. Renowned for its dazzling rainbow mosaic panels, the Rainbow Tower presides over the widest and most beautiful part of Waikiki Beach on one side and Duke Kahanamoku Lagoon on the other. The 307 sq. ft. room space is nice but it’s the outdoor balcony that really impresses. With this view, we never wanted to leave the balcony. When we weren’t on the balcony, a world of adventure and outdoor fun awaited. We did spend some time unwinding beside one of the sparkling pools while sipping tropical cocktails but if you know me, adventure is what I’m after. The 10,000 sq. ft. Super Pool, and the multi-layered Paradise Pool, featuring dramatic waterfalls and the longest waterslide in Waikiki, were more my speed. Even though Athena didn’t join me on this vacation, I still zipped down the waterslides like a big kid. I’ll never be too old for a waterslide. The salt-water lagoon had an array of fun-filled activities for us as well. Named after Hawaii’s legendary Ambassador of Aloha – surfer and Olympic swimming champion, Duke Paoa Kahanamoku – Hilton Hawaiian Village’s sparkling lagoon is the perfect place to soak up water sport activities like paddle boarding, kayaking, or snorkeling. I can never quite figure out how to move the water bikes smoothly through the water but I always have a laugh testing them out. 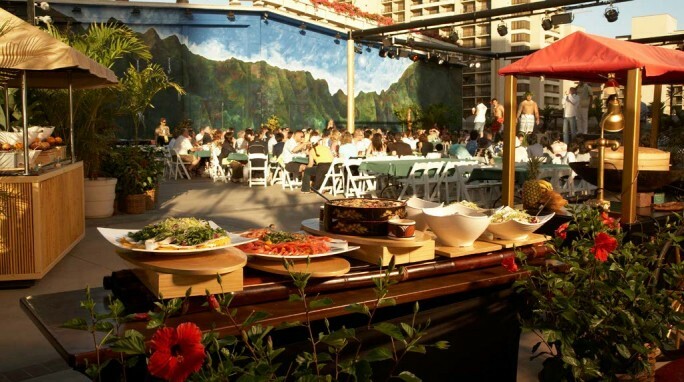 Waikiki’s only outdoor Luau is always part of our itinerary at Hilton Hawaiian Village. Featuring extravagant Lei greetings, Hula kahiko performers, 4 acrobatic fire dancers, and authentic Hawaiian dining in a memorable setting beneath the starlit, mid-Pacific skies, we enjoyed the exotic flavors and diverse culture of Hawaii at the Waikiki Starlight Luau. The food choices go on for days and the performs clearly love what they do. The fire dancers are the piece de resistance of this breathtaking show. No trip to Oahu would be complete without an ocean adventure. We explored the Waikiki coastline aboard The Spirit of Aloha, a modern 54-foot catamaran that departs from the Hilton Hawaiian Village port. Amenities include a full bar with draft beer, a large fully-enclosed and covered cabin with table and bench seating, two full restrooms, surround-sound system, and multiple stairway entry points for snorkelers entering the water. Ample outdoor areas for sunning are also available. The highlight of the tour is snorkeling with turtles. Our guide led us to the best spot to see turtles surface and I was able to spend almost two minutes snorkeling alongside one chill turtle before he went on his way. We saw more than a dozen turtles during the snorkel and followed it up with relaxed sailing along the coast. 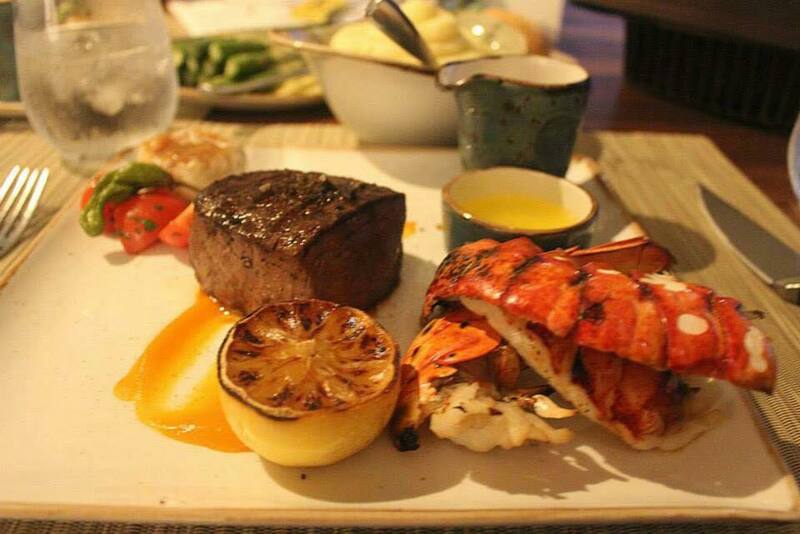 With a spectacular oceanfront view of Waikiki Beach, Bali Steak & Seafood is the best way to finish off a dream day at Hilton Hawaiian Village. The menu proposes such dishes as Prime cut, dry-aged steakhouse classics like the tomahawk for two accompanied by house-made Bali steak sauce, Maui onion demi, rich foie gras butter or a traditional sauce béarnaise. We visited just before sunset for one of the best restaurant sunset views on the island, and it doesn’t get any tastier than my choice of Filet with garlic herb and butter coupled with a Lobster Tail and Yukon Gold Potato Puree. Can you see why we constantly choose Hilton Hawaiian Village as our accommodation choice in Oahu? Wait! I know it’s already dreamy enough but there is one last detail that puts it over the top. Every Friday night, Hilton Hawaiian Village shares an exciting look at Hawaii’s music and dance. It begins with a tribute to Duke Kahanamoku and includes a charming keiki (children’s) hula performance. Fast moving hips, beautiful island maidens, and strapping beach boys make this performance a feast for the senses. A crescendo of torch lights, drums, and fireworks “over the rainbow” bring this show to a delightful and moving finale. Experiencing it is like being Cinderella and finally going to the ball. The views look amazing and that water slide looks like it was a lot of fun. Hawaii is still on my travel bucket list and I can’t wait to experience it one day. That slide looks like a lot of fun…even without kids along! And those views…breathtakingly gorgeous! Oh wow this is beautiful!! I need to take a trip to Hawaii!! It’s on our “bucket list”. Thanks for sharing your gorgeous photos. Wow, I wish I could hop into these photos and be at the resort right now. It is beautiful and sounds like a must stay location. I am hoping to be going to Hawaii in a few years for when my husband and I celebrate our 25th anniversary. It would be amazing! What a lovely resort! I can see why you love it. The quality of your pictures is amazing and that steak looks so so dreamy. I have always wanted to take a trip to Hawaii! I live on the East coast, so it’s not an easy trip. It is at the top of my bucket list, nonetheless. You took absolutely stunning photos, makes me want to go even more. It looks like a beautiful resort. Waterslides, delicious food, gorgeous views…yes please! We visited that island but stayed in the military resort. The beach is so beautiful and should be on everyones bucket list. That looks like a ridiculous amount of fun. How can you ever leave? I can see why it is your chosen destination! You’ve sold me! Now to book that vacation! I’m ready that’s for sure! I must say that the first photo makes the place look really great! 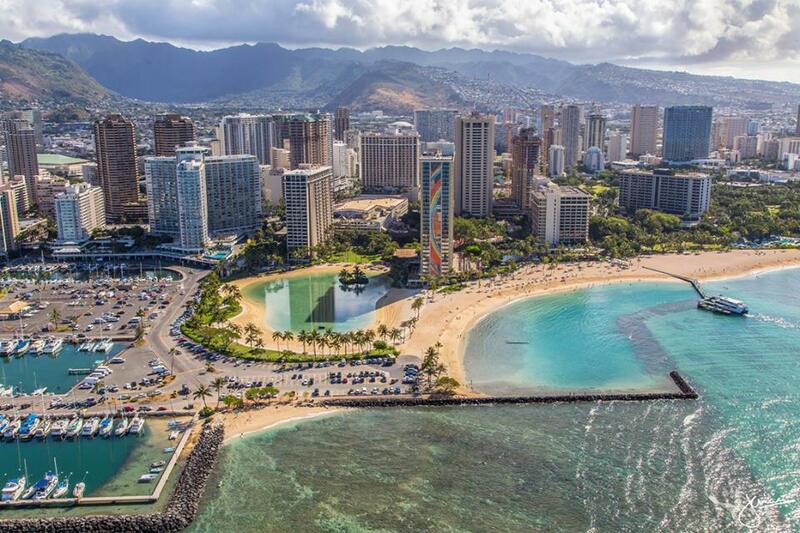 Waikiki is one of those world famous beaches and for good reason. I hope to make it to Hawaii one day. omg, your pictures are amazing. I want to go pack and leave for vacation right now. We always stay at a Hilton hotel too. Amazing service and rooms. I want a trip to Hawaii right now! Ah! 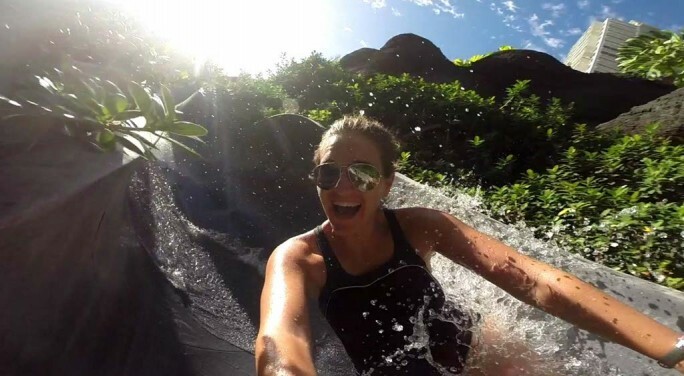 And that photo on the waterslide is ah-mazing! Never too old for that kind of fun, right? Your pictures are fab! I haven’t been to Hawaii yet but definitely have it on my list and you’ve provided a great recommendation for accommodations. Thanks! First off, that lobster looks amazingly delicious! Yum! Second, what a great place to play and stay! What an amazing place to stay! Thank you for this awesome recap of your visit! Wow! What an adventure in so many ways. I would love to do everything you did. You make it look fun and possible for all ages. We had planned a 25th Anniversary in Hawaii and it didn’t happen. I’m planning it again for our 55th!!! How beautiful is that VIEW?!? Holy cow!!!! I loved this recap of your visit. I can’t wait to visit myself. I have never been to hawaii, but so desperately want to go! Thanks for the ideas. Everything from the views to the food looks amazing. I can see why you can’t resist this place!